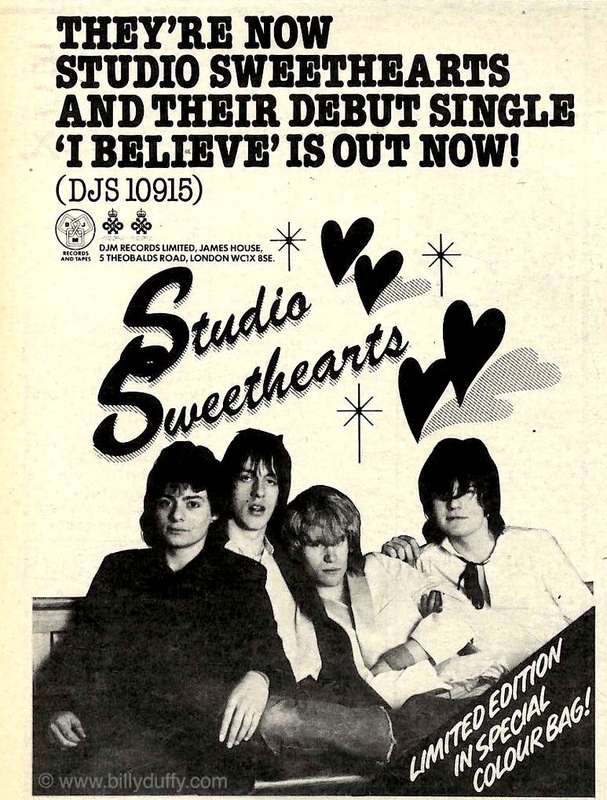 “This is an advert for the first (and only) single by Studio Sweethearts who were the band I left Manchester and (sadly) Morrissey for!!! In fairness, it was the chance to finally leave home and move to London to live the rock n roll dream AND a record deal with DJM (Elton John’s label) to boot. Although Wayne Barrett, Mick Rossi and Howard Bates came from the legendary Wythenshawe punk band Slaughter & The Dogs we were already moving away from that into a more mainstream rock sound. Although the band only lasted one single before reforming S&TD we stayed friends and I even ended up sharing a flat with Howard a couple of years later.